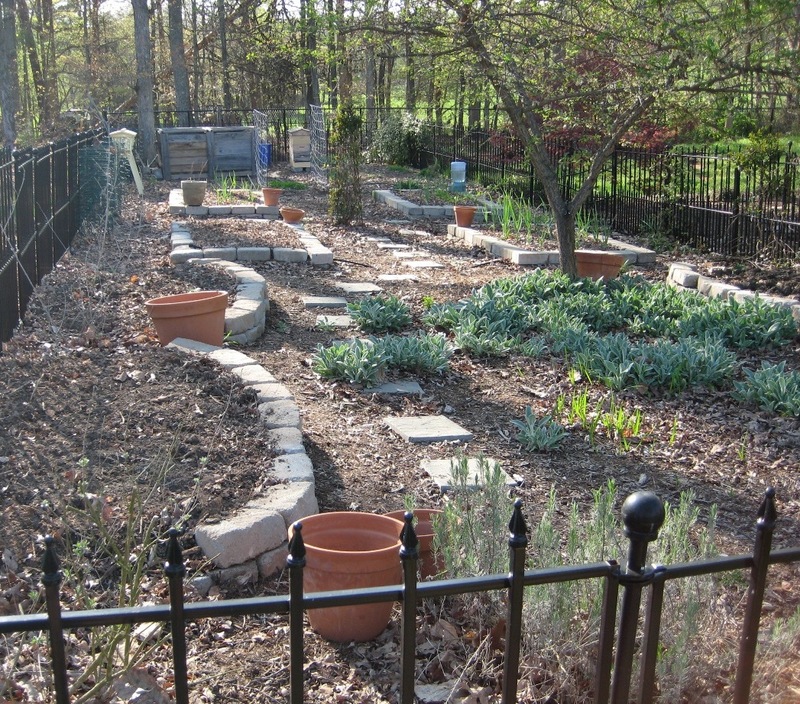 I wandered around the garden a bit today thinking about what we’ve accomplished so far and what is to come. It’s exciting to see things starting to bloom and peek through the soil, but a bit overwhelming to think of all the work ahead. W has a detailed plan for the garden that he created using the software he wrote (www.smallfarmmanager.com), so each bed has a carefully designed plan for the season. Right now, the garlic is up and the bee hive is buzzing. You can see my second hive – the bright yellow top bar hive – on the left hand side. It’s bee-less right now, but is expecting company soon. The lambs ear appears to be completely unaware of the cold winter we just had and is thriving. 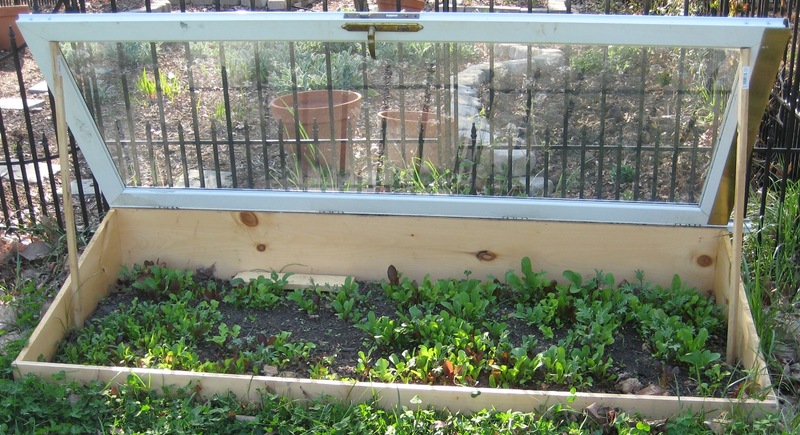 W built a cold frame out of an old door from his parent’s house and its currently full of a lovely peppery lettuce mix that’s ready to be harvested. Around the yard flowers are coming up as well. 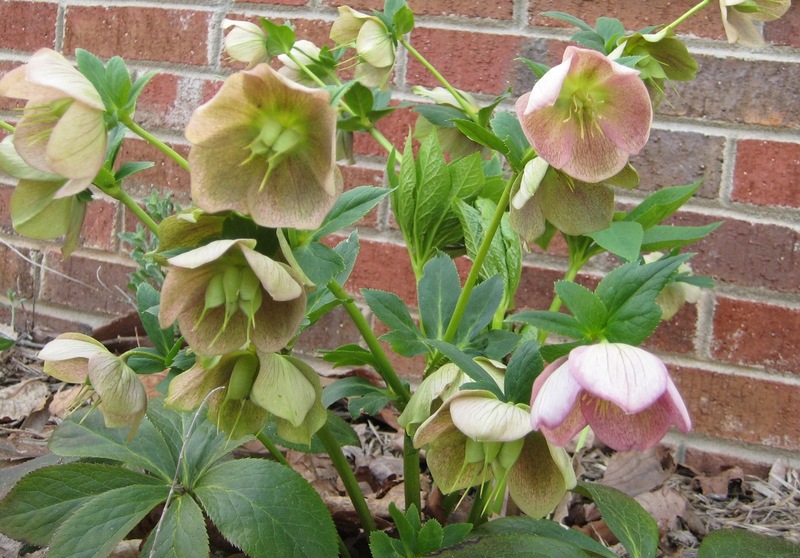 Our hellebores always bloom just before anything else. I fell in love with them at a garden show a few years ago and returned with quite a few. 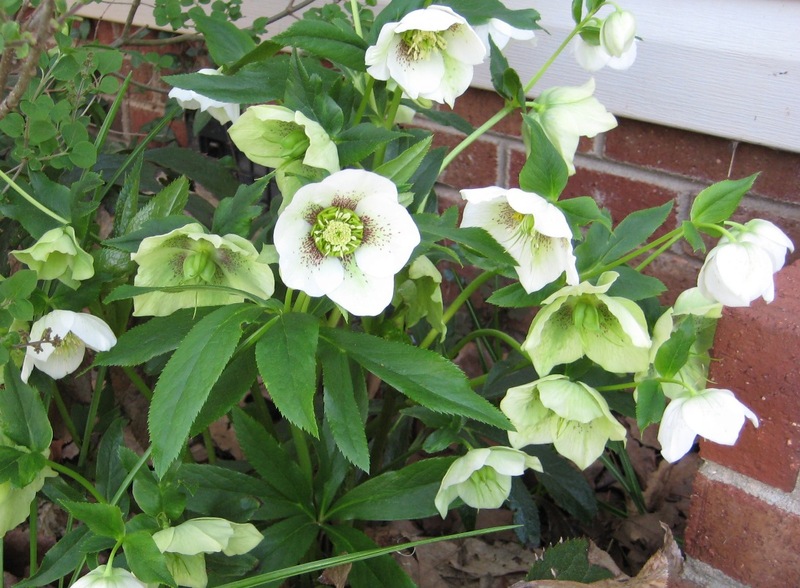 We have two colors currently blooming at the front of the house. Our daylilly bed looks like its going to be spectacular – it’s amazing how quickly they spread. We started with some plants from a friend who was cleaning out a bed and now they’ve practically taken over a bed here. 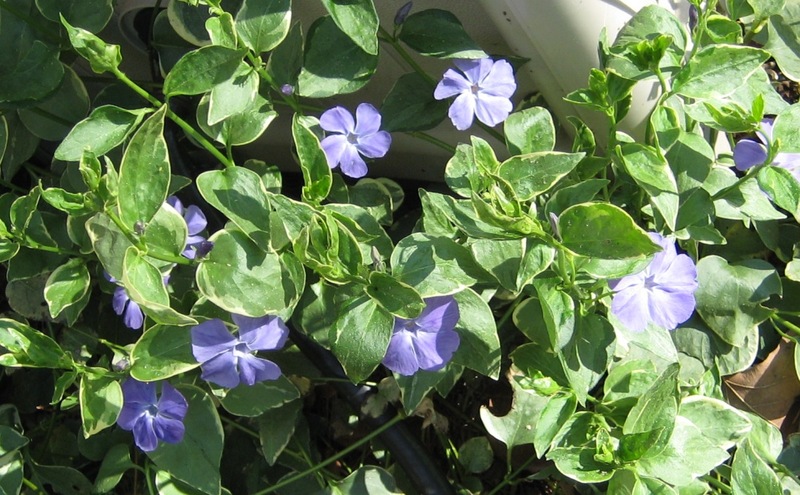 Walking around today, I noticed an ivy-like plant (I’m sure its a weed) climbing around the house with cute little purple flowers. Last but not least, our bee balm is once again spreading like wild fire. 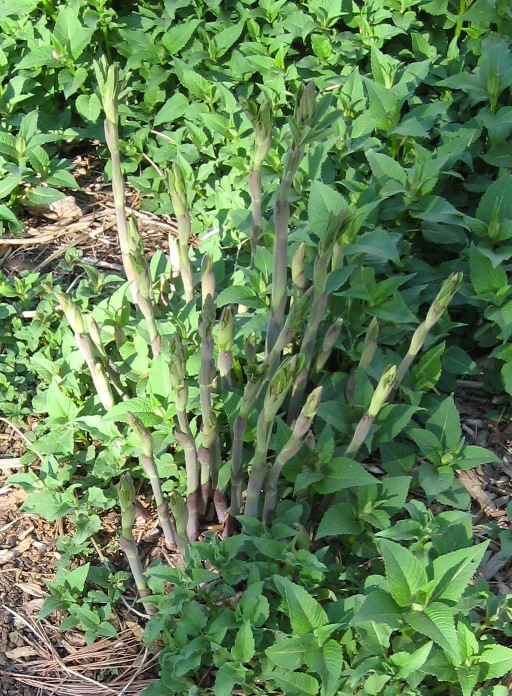 In the middle of this patch is a lovely plant whose name totally escapes me, but it always makes me smile when it first comes up because it appears to startlingly similar to asparagus. Overall, it’s been a beautiful weekend. I didn’t spend as much time outside as I wanted to (school work, laundry, and cooking took up a large portion of the weekend), but the time I did spent communing with the plants was wonderfully calming.